Where do you think you are wrong? Where do you see other people do something a certain way and you feel that you should do this, too – but somehow, you just can’t? And so you think that you’re ‘wrong’. At best, you think that you’re doing it wrong. At worst, you think that there’s something wrong with YOU. 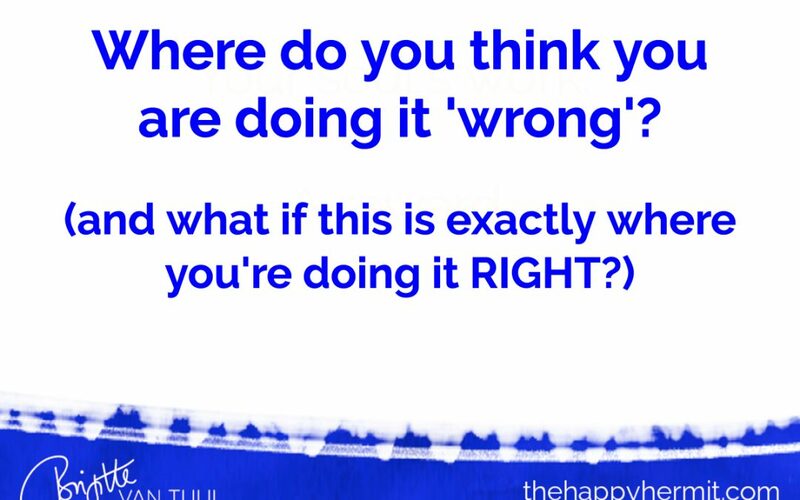 But what if this thing that you think you’re doing wrong, is actually YOU doing it RIGHT? Is actually YOU being true to YOU, to your soul, to what’s best for YOU? What if everything that you fear is wrong about you, or is wrong about how you do business & life, is exactly – EXACTLY! – what’s most RIGHT about you? And what’s most RIGHT for you? Want more articles automatically delivered to your inbox?